Little Miss suffers from nappy rash on occasions and I will admit that we use Sudocrem Healing Cream to combat it when it flares up. 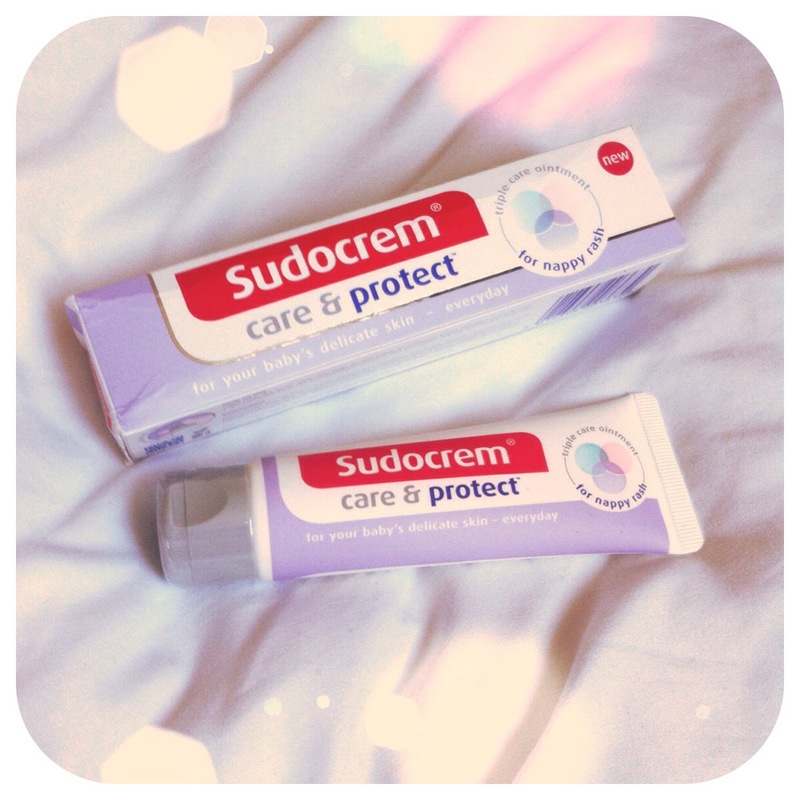 Recently I was given this – Sudocrem Care & Protect – to try out. This cream is to be used at every nappy change and is designed to prevent nappy rash from occuring. The cream itself is quite light and very easy to apply (unlike some other brands I’ve used where the cream has been thick and sticky to apply). Having used it all week I can say that Little Miss’ bottom has been free of nappy rash! So it must work! I would definitely recommend it and I’ll be using it again for sure! It comes in this handy little sized tube (as opposed to the little tub) so it’s very easy to carry around as it doesn’t take up much room in the changing bag. Sudocrem Care & Protect can be purchased at pharmacies and supermarkets and comes in various different sizes – a 30G pack, 40G pack, 50G pack or a 100G pack. Prices will vary depending where you buy it from but as an example a 30G pack from Asda is £4.00 and a 100G from Tesco is £9.99.